Can we handle the full freedom and responsibility of anarchy? Not yet... but we can learn to! Can we handle the full freedom and responsibility of anarchy? Not yet… but we can learn to! 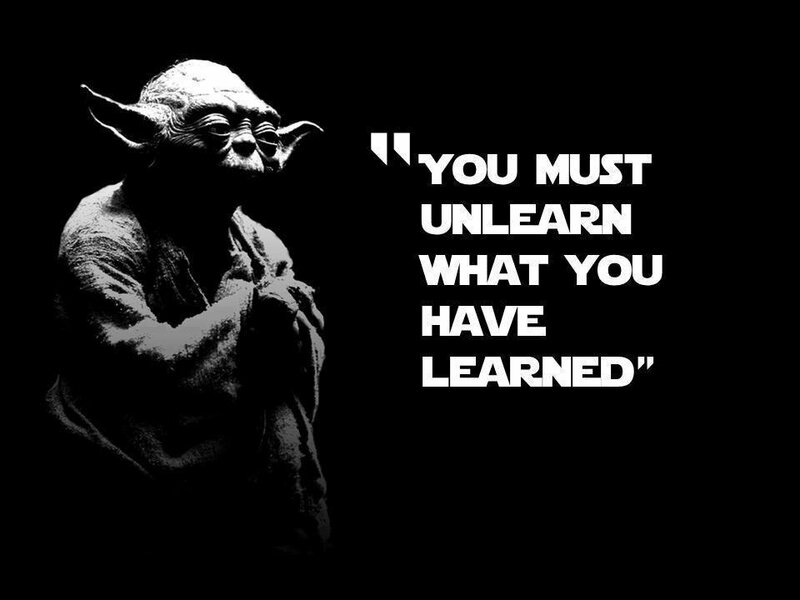 If you just take people who are conditioned into a certain way of living, and expect them to change and function a different way, without teaching them and helping them “unlearn what they have learned”, as Yoda says, then it’s not going to work too well. Giving people complete freedom, without the knowledge and responsibility developed… does not produce a successful outcomes in the short term. We can learn from failures and eventually “get it right”. Chaos is a teacher. Maybe after many generations people would figure out how to live in freedom, responsibility, with rules and moral law… “organically” without actively trying to figure it out… But just sticking people into a new environment that they don’t understand, and expecting them to “learn” how to do things properly, quickly, in this new way, is unrealistic. They are conditioned with another way of living. Truth takes time, and unconditioning ourselves does as well. Children need to be raised into awareness to become free thinkers and responsible in life. We don’t just drop a newborn or growing child and kick them out to go live their own life… they need to be raised. Those who have knowledge, and understand things, can teach those who don’t so that everyone can have the same understanding. An anarchistic model can only succeed if people create within the philosophy of that model, which can’t be done right now since many people don’t even understand what anarchy is: freedom, responsibility, law, truth. You can;t create something you don’t know how to create. The world at large doesn’t understand anarchy much, but many on Steemit do. We have a leg up to make it work better! But it’s a long, tedious, tiresome process to learn about things in reality and arrive on a common grounded basis of understanding together. It doesn’t help with personal motivations that lead people into denial and ignorance. Setting kids up in a new area with no rules, and having them try to figure things out… It’s like ignoring all the trials and tribulations of the people in the past, who have taught us lessons not to repeat. Rather than reinvent the wheel, to have people learn in a causal relationship with reality over and over, and not teach the successive generations and keep learning, which can take years, or never happen… we can instead actively teach about a way of living so that people understand how to live that way. Until such a time, rules of conduct need to be established by those who have the knowledge to direct the education of the community. This is what humanity has been doing, but getting lost, and taking a long long time… But, we are working towards more moral ways of living, although slowly, over centuries, going back and forth on certain things. Anarchy will happen in society, once, and only once, people learn how to live in an anarchistic way. This can be done through trials and tribulations of each person learning for themselves, or through an effort to learn and educate ourselves, without making all the mistakes and learning the hard way.